Ajay Devgn and Emraan Hashmi starrer ‘Baadshaho’ crosses Rs 50 crore mark on the fourth day of its release. With a decent weekend collection of Rs 43.30 crore, the flick managed to churn Rs. 6.82 crore on Monday taking the total to over Rs 50 crore. After Ajay Devgn’s last year release ‘Shivaay’ did not do well at tank at the box-office. But, ‘Baadshaho’ comes out as a relief to him. Trade analyst Taran Adarsh took his Twitter handle to share the box-office collection of ‘Baadshaho’. 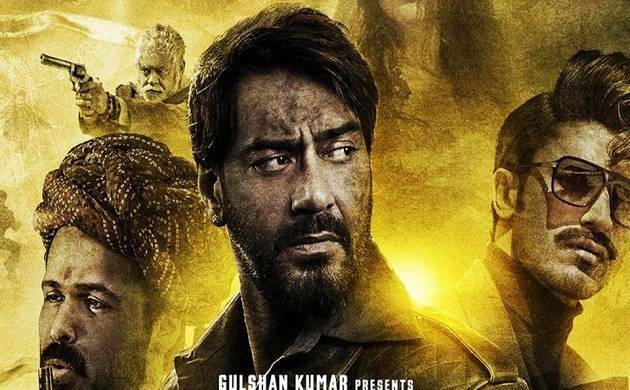 Another Trade Analyst Girish Johar predicted and said, “Ajay Devgn’s film will definitely be the highest earner this week with a double digit opening on the first day’’. ‘Baadshaho’ was released on 3242 screens out of which 2800 screens were domestic and 442 overseas. The movie made its release in competition with Ayushmann Khurrana and Bhumi Pednekar starrer ‘Shubh Mangal Saavdhan’ which was released on nearly 1400 screens. ‘Baadshaho’ is loosely based out of the Emergency period of 1975-77 and also features Ileana D’ Cruz, Vidyut Jammwal, Esha Gupta and Sanjay Mishra in pivotal role.